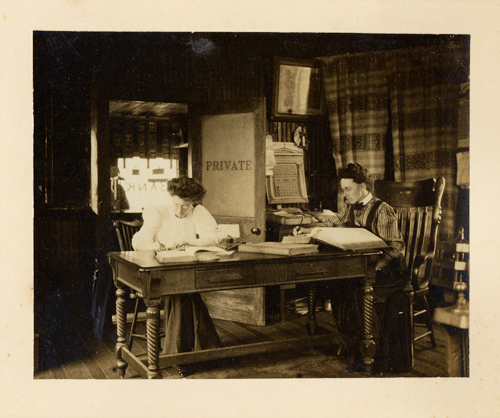 Comments: Susie (Powers) Blair and her sister, Lucy Powers, tend the books in the bank vault at Scottsville's Fidelity Bank, located on Valley Street. Susie was the wife of Dr. Joseph P. Blair, a Scottsville dentist and Town Council member. Lucy was the youngest of the four Power sisters and never married. For many years the Powers family ran the Scottsville Hotel on Valley Street.